How Do Nelson/Tasman House and Land Values Compare with Income over the Past 20 Years? Well that’s actually the title of an article written by a local valuer that I have respect for, Barry Rowe from Duke & Cooke Valuers. Regular readers here, or followers of my twitter feed will know I regular re tweet Duke & Cookes informative weekly Nelson & Tasman region property update. Nelson/Tasman region house and land values are increasing, but how do increasing house and land prices compare with wages and salaries over the last 20 years? 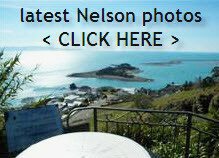 Nelson/Tasman is a popular place to live and often tops New Zealand’s sunshine hours. The region also boasts golden beaches and productive tourism, wine, horticulture and fishing industries. With its warm climate, spectacular scenery and access to various marine playgrounds, Nelson/Tasman is one of New Zealand’s fastest-growing regions and popular as a retirement and lifestyle destination. As a result of being a desirable place to live, the Nelson/Tasman population continues to grow. The 2013 census reports Nelson’s population as 46,437 and Tasman’s 47,154. Between 2006 -2013, Nelson’s population increased by 8% and Tasman’s population increased by 6%. The total population for New Zealand increased by 5% over the same period. As our population grows, the growth puts pressure on resources, especially house and land resources. Each month real estate professionals publish housing statistics about how the property market is performing. Local statistics have shown property values continue to rise. In Nelson, house prices are growing faster than the national median. The only cities in which it is less affordable to buy a house are Auckland, Wellington, Christchurch and Queenstown. Although we continue to hear about increasing house and land values, little is reported comparing house and land values with wages and salaries. Therefore, we have analysed the increase in house and land values against wages and salaries over the past 20 years. Our analysis shows there have been significant increases in both house and land values compared with wages and salaries as shown in the table below. • The median-house price has increased from $130,000 to $357,000, an increase of 175%. • Land value increases have been more pronounced ~ from $50,000 to $225,000 ~ a staggering increase of 350%. These increases clearly show that land value increases have been greater than house price increases. Today, it takes more years of annual wages and salaries to purchase a median-priced home or section than 20 years ago. • Twenty years ago, a median-priced home took five years of annual wages and salaries to buy, whereas it now takes about 7.5 years. • Twenty years ago, a median-priced section took two years of annual wages and salaries to buy, whereas it now takes 4 years. These results show house prices have increased 50% compared with wages and salaries, while sections have increased 100%. This shows it now takes proportionally more income to buy a section as compared with buying a house. In 2003/04, the property market surged with house and section prices rising rapidly and continuing into 2005. This was the point over the last 20 years when houses and sections were the least affordable. It took almost 9 years of income to purchase a median-priced home and just over 7 years to buy a median-priced section. The market surged again in 2007/08 when it took just over 8 years of income to buy the median-priced home. Since the 2007/08 surge, the market has settled. It now takes about 7.5 years of income to buy the median-priced home. Over the last 20 years, the median-priced home has steadily increased and is now at its highest point. Wages and salaries have also steadily increased and are similarly at their highest point. Both have moved in tandem and at approximately the same ratio. Buying a median-priced home or section costs more of one’s annual income from wages and salaries than it did 20 years ago. While attention is usually about the cost of buying a house, our research shows buying a section is now proportionally far more expensive in relative terms. Unfortunately, we do not see this situation getting any easier as there is a shortage of sections coming onto the market. Sections that are on the market now have a median price of $224,500, and we don’t see this price dropping due to the associated costs of developing them. The Nelson/Tasman region has always been an expensive area to buy a house and this does not appear to be changing. As the population increases and places more demand on resources the cost of housing continues to increase. The Nelson/Tasman region is one of New Zealand’s fastest-growing regions and continues to be a sought-after place to live for all those reasons detailed above. This entry was posted in Nelson on June 15, 2015 by David Leggott. Yes I am….but to keep in touch please also…..
… make sure you also bookmark me at…. ….looking forward to catchin’ up soon…. This entry was posted in Nelson on February 11, 2015 by David Leggott.